And now for part 2 of our Horse Inspection series! 7. Keep Moving – Older horses or horses who aren’t used to staying in stalls will usually require lots of walking to help loosen them up or settle them down for your Inspection. Be sure to keep your mount moving so he or she doesn’t get stiff before you trot down the strip. Remember to keep a safe distance between your horse and the horses around you. 8. Use a Whip – Many members forget that using a dressage whip or even a crop is allowed during the Inspection. 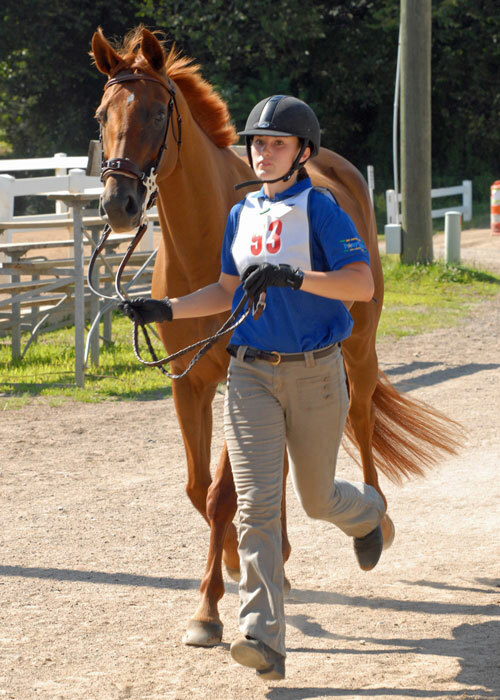 Your mount needs to move forward in a good trot for the vet to see an accurate representation of his or her movement. Slow, choppy trots can often be mistaken for slight lameness. 9. Follow Instructions – Some vets like to see your horse jog down and back while others just like to see you jog down. Pay attention to where Horse Management tells you to go when you have finished. 10. Mind Your Reins – The most common mistake when jogging for the vet is holding your reins too close to the bit. Your hand should be at least ten inches from your bit to allow your mount to move his or her head naturally. 11. 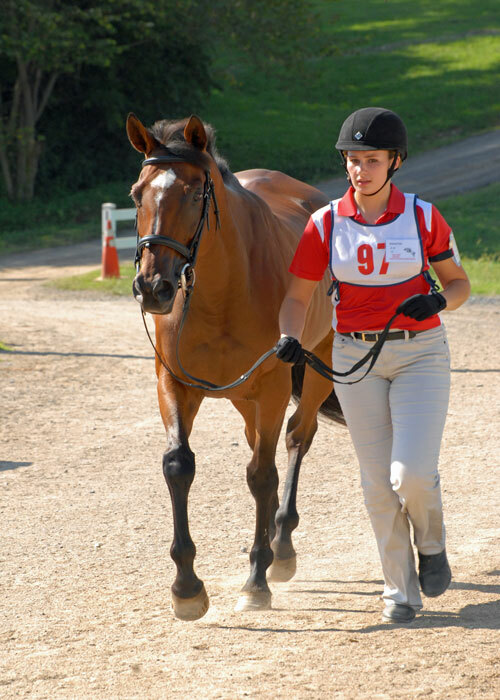 Re-Inspections – If your horse is held for re-inspection, don’t panic! This is not the end all, be all; the vet just wants to see your mount go again. Maybe they acted up on the way down or they just refused to trot (this can be fixed by doing #1) or maybe the vet just wants to make sure that’s how Sassy really moves. While you’re waiting, keep your mount moving. Longer, reaching strides are better for getting the muscles loose. When you jog again, make sure your mount is moving forward and stretching out. Chances are, upon re-inspection you will be accepted. 12. Handling “Not Accepted” – While this is a very rare occurrence, if it happens to you it’s not because you did something wrong. The vets and HM staff have only the best wishes for you and your mount at heart and no one wants to see either of you get hurt. If you are not accepted, the vet will explain why he or she doesn’t want you to continue. “Always treating your horse with consideration due a partner” is the name of the game. Sitting out Festival after working so hard to get there will be hard and disappointing but if your mount is not 100%, it will be worth it. Taking the two weeks off now will be much easier than taking two years out as the result of a more serious injury. Instead of focusing on how disappointed you are, focus on helping your teammates have the best Festival ever and feed your mount loads of goodies until he’s back in action.